For many decades, Taking a daily low-dose aspirin was thought to be an excellent way to prevent heart attacks in older people. However, a recently published study begs to differ. The Japanese Primary Prevention Project (JPPP) conducted a study with 14,464 participants between the ages of 60 and 85 years that all either suffered from hypertension, dyslipidemia, or diabetes. Patients were randomly selected to either take 100 mg of aspirin once a day or no aspirin in addition to their current medications. Researchers followed participants for up 6.5 years for a combined clinical endpoint of nonfatal stroke, non fatal MI, or cardiovascular death. The monitoring committee ended the study early because there were too few heart attacks or strokes reported for scientists to make factual observations. Co-author of the study, Dr. Kazuyuki Shimada, faculty at the University of Shin-Oyama City Hospital in Tochigi, Japan, believed that the study’s conclusion showed no massive difference in deaths, strokes, and heart attacks for those taking daily doses of aspirin. However, Shimada did find that people who didn’t take daily aspirin were at greater risk of “mini-strokes” and chest pain (also known as angina). 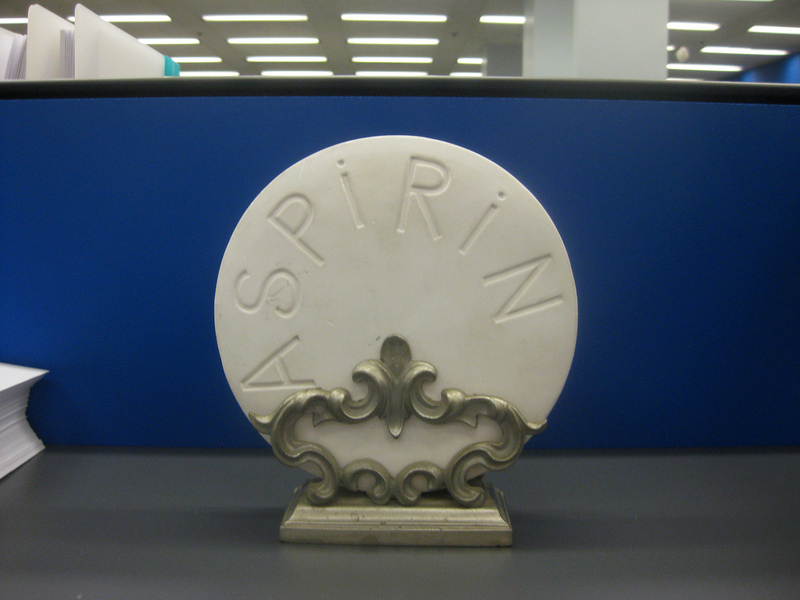 On the flip side, people who were regularly taking aspirin had a higher chance of experiencing dangerous bleeding. According to Dr. Michael Gaziano, chief of the division of aging at Brigham and Women’s Hospital in Boston and a professor at Harvard Medical School, aspirin can act as an anti-inflammatory, and be responsible for analgesic and antipyretic effects. It can also reduce thrombosis, and its antithrombotic effect can last several days after a single dose, until enough new platelets have been produced, thus restoring the thrombotic system. In Gaziano’s study on aspirin, he and co-author Dr. Philip Greenland analyzed data from about 200 trials featuring patients with vascular disease. The research showed that aspirin had long-term benefits in preventing certain vascular catastrophes. They also discovered that higher doses of aspirin increase chances of bleeding. They determined the recommended dosage of aspirin to be between 75 mg to 100 mg per day in order to prevent long-term cardiovascular incidents in patients with a vascular disease. Aspirin also contains properties that reduce the risk of restenosis, a condition where arteries become thinner.